Fermella (fermented chlorella) is a highly improved version of common Chlorella. It is a unique food supplement delivering remarkable support for the body's natural detoxifying processes to improve your energy and vitality. Chlorella is truly one of the most astounding food sources on planet Earth. This small, greenalgae that grows in freshwater ponds in the Far East is one of the purest natural green foods known to humankind. It is packed with protein – twice as much as spinach – and about 38 times the quantity of soybeans, and 55 times that of rice. It also contains nine essential amino acids, as well as vitamins and minerals. Latest research suggests that chlorella could be effective in fighting major lifestyle diseases. Above all, it is a powerful detoxification aid for heavy metals and other pesticides. Most producers break down the thick cell wall mechanically or chemically to make it more digestible and absorbable. Our unique technology that uses fermentation process to crack the hard wall seems to be best method as it naturally preserves the vital nutrients inside. One of the most remarkable nutritional qualities of Chlorella is its high content of proteins. It contains much more than spinach, soybeans, or rice. For example, Fermella’s protein content is around 63%, while soybeans contain around 35%. Amino acids are the building blocks of protein that are used in most body processes. Amino acids are critical to life, and have many functions in metabolism. Fermella contains much more amino acids than spinach, soybeans, or rice. Essential amino acids or indispensable amino acids are amino acids that cannot be synthesized by the organism (usually referring to humans). In other words, humans can produce 10 of the 20 amino acids. The others must be supplied in the food. 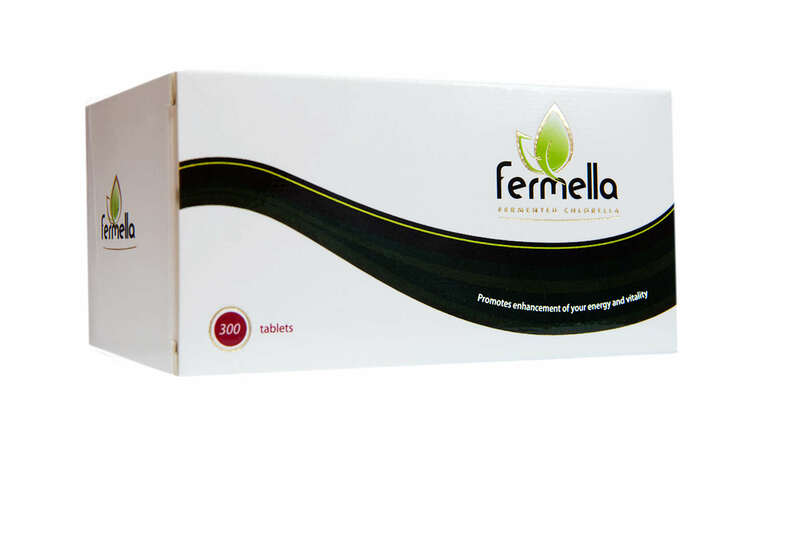 Fermella provides all of the dietary-essential amino acids in excellent ratios. 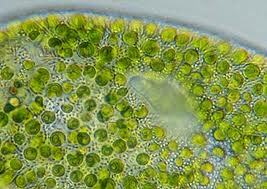 Chlorella is propagating with active light synthetic capacity and has CGF (Chlorella Growth Factor). CGF is regarded as compound of Nucleic Acid and Amino Acid but is not yet certified. Chlorella CGF is generally known to accelerate animal growth and fatigue recovery. Chart below shows that some absorbance between 250mm-280mm of Nucleic Acid and Amino Acid is remarkably increasing. CGF is described by OD value of absorbance. Gamma-amino butyric acid (GABA), an inhibitory neurotransmitter, is produced in the body from glutamate although its concentration decreases as we get older. This amino acid is used by the brain to promote calm and tranquility by helping to neutralize the stimulating effects of glutamate. In other words, GABA is the brain’s main weapon for fighting stress.